The 2015 Pride in London Parade on 27 June was the biggest for over a decade, with 258 registered groups taking part. 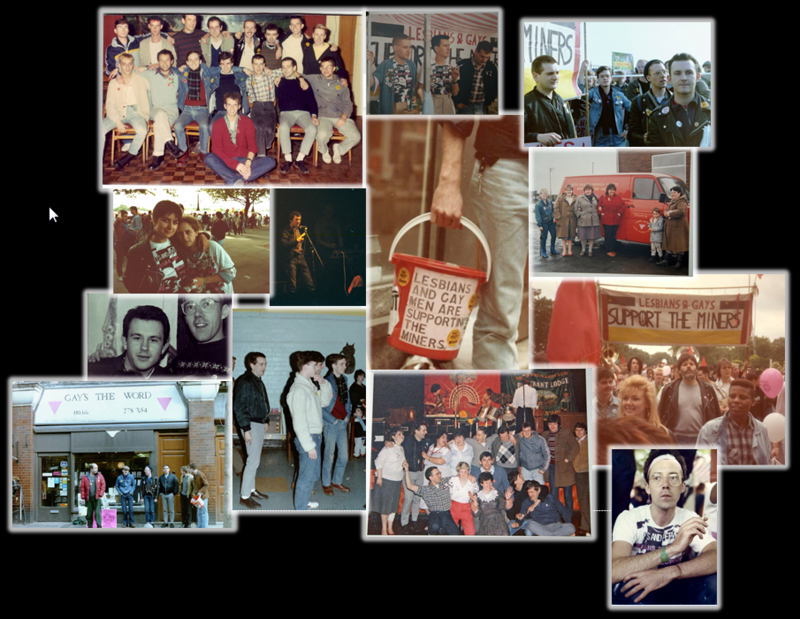 LGSM and the Mark Ashton Trust led the TUC contingent, supported by the Tredegar Town Band, The South Wales Gay Men’s Chorus, cast and crew from the film Pride and our friends from the former mining communities of South Wales. NUM banners from across the country followed the lead contingent and there was then a huge trade union and student presence following that. 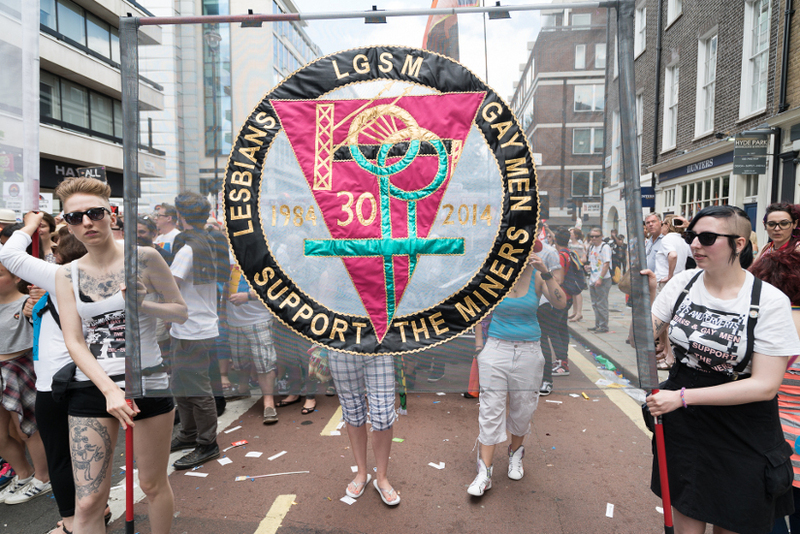 In response to the comments that our earlier posting has prompted from our friends and supporters, LGSM would like to clarify the reasons why we decided not to lead the Pride in London (PiL) Parade and to move to Bloc C and join our trade union allies and wider supporter network. 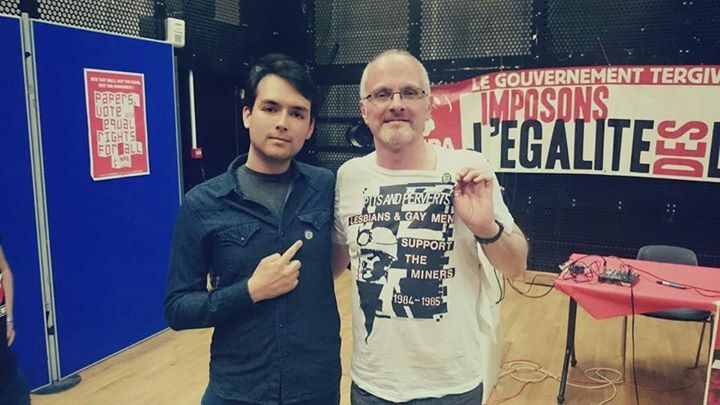 Over the last few months I, like many members, have had the pleasure (and the privilege) of speaking for LGSM and/or promoting the movie PRIDE. It has been an inspiring and enlightening experience and I thought I would share some thoughts that have been prompted by this mini-tour. 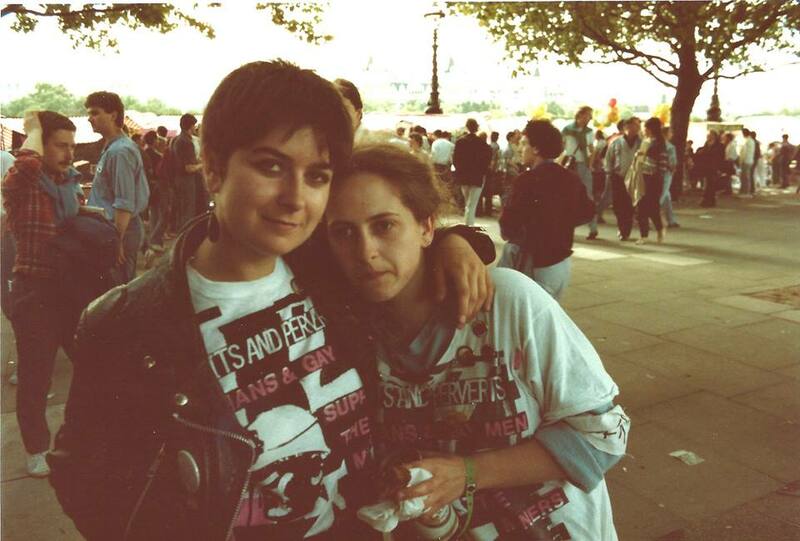 Lesbians Against Pit Closures was formed because some women felt that some of the men in LGSM had very clear political stand points, which they put forward very forcefully in LGSM meetings. Some of us wanted to organise in a different kind of atmosphere. 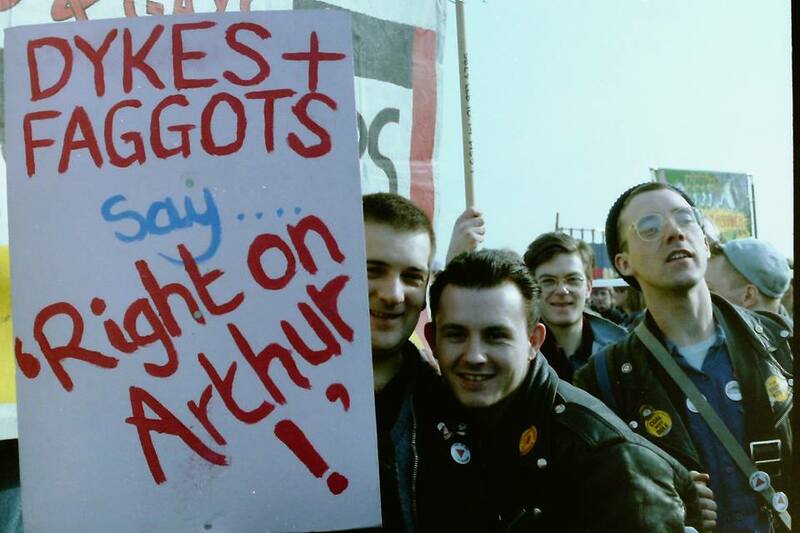 The first big political event I ever went to was a mass picket in North London in 1977, when I was still at school. This was at a small factory called Grunwick’s, just outside Dollis Hill tube station, where for some months there’d been a strike for trade union recognition led by Asian women. In those days it was still legal to have mass pickets, and there were now, regularly, thousands of people lining the streets of Willesden in support of the strikers. It was a political lesson in many respects - for one thing because the police would violently attack the picket lines to break them up and allow lorries into the factory.